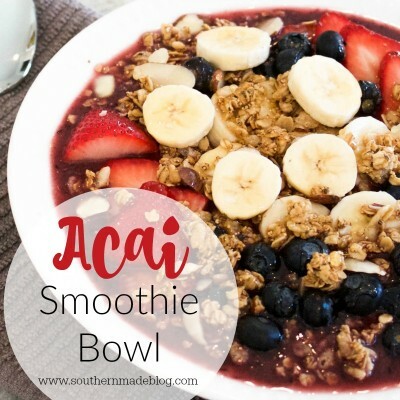 Have you ever had an acai bowl? They’re all the rage right now and for good reason! I tried my first one this past year and I’m obsessed, but they can get kind of pricey! So, we made them at home for the first time this weekend and it was so easy and delicious! 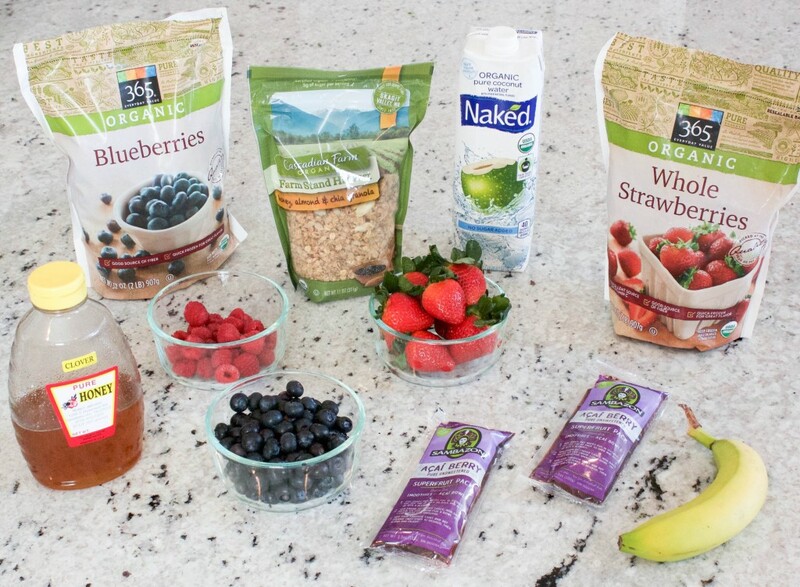 This smoothie bowl is packed with powerful antioxidants and healthy omegas! 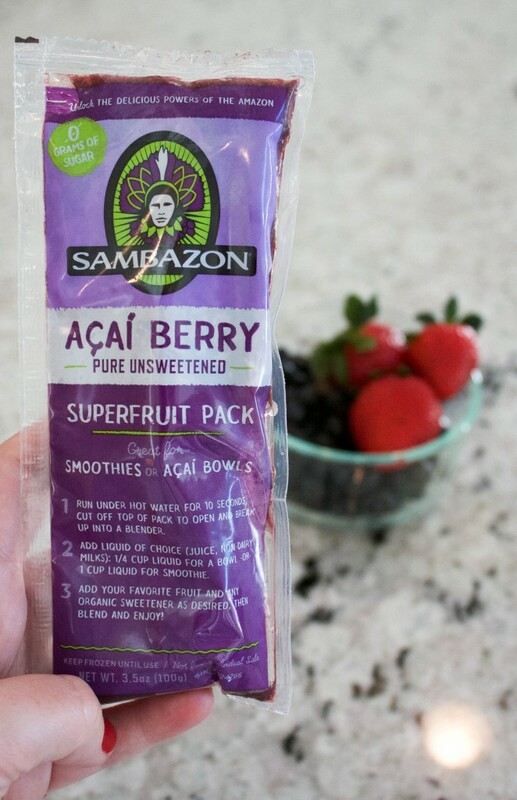 The acai berry has so many health benefits and is considered to be a superfood! These are definitely going to become a staple breakfast or snack in our home! So delicious and easy! Most of this you can get at any grocery store. I found the acai berry puree at Whole Foods. I heard it might be at Costco, so that will be the next place I look for it. Other than those other few ingredients, that’s all you need! Follow the instructions in the recipe below and dig in! The great thing about this smoothie bowl, it’s so easy to make and you can’t mess it up! You literally can throw anything you want on top of it! My favorite combination is the berries and banana. Then of course lots of granola drizzled with honey. By the way, this serving size is plentiful. My husband and I actually split one portion because it made so much. I stuck the rest in the freezer for a healthy snack later in the week. So yummy! Delicious and filling smoothie bowl. Run each puree pack under hot water to loosen it from the packaging and empty both packs into a blender. 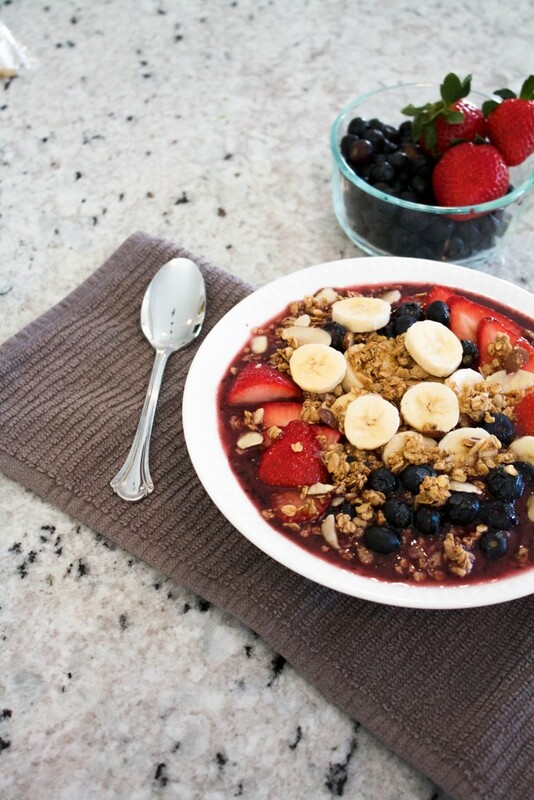 Pour into dish and add cut berries, banana, granola and drizzle honey on top. Let me know what you think! 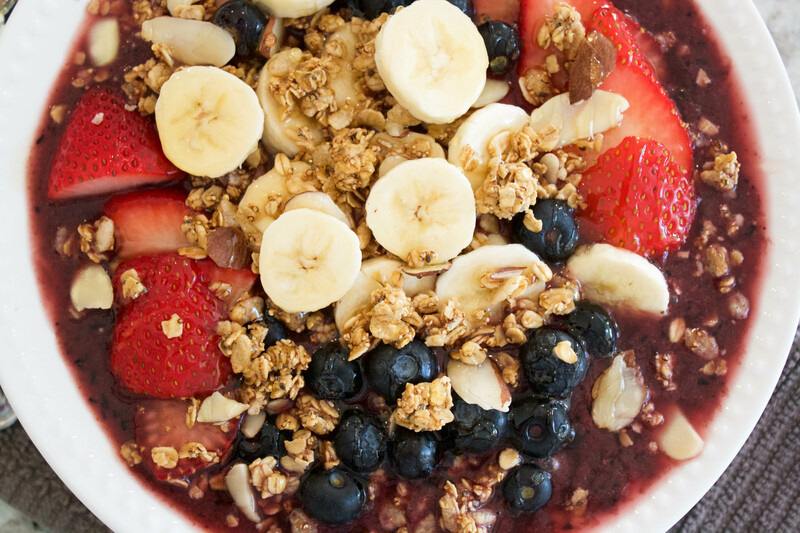 What are your favorite toppings for acai bowls? Girl, me too! I just found out about the packs you can buy. There the best thing ever and it is seriously so easy to make! Let me know what you think if you end up making it soon! :) Thanks for reading. This looks like the perfect breakfast. I need to try more smoothie bowls. Thanks for sharing at the Get It Together link up!